If you are missing one or many teeth, you may be considering dental implants. A dental implant replaces the tooth and the roots of a tooth. They are made of titanium (a metal that integrates with bone) and are secured into the jawbone. Dental implants provide a strong foundation for fixed (permanent) or removable replacement teeth. An implant is not a quick-fix or temporary solution. An implant is a permanent solution that requires proper advanced planning and multiple steps. Placing implants can take several surgical procedures over a period of a few months to several, to allow for proper healing and growth of bone in the jaw. Once the implant is placed in the jaw and the jaw has healed, an abutment (a structure on top of the implant) is placed, followed by a crown (a cap shaped like a tooth). You may need an adjustment in the future. With proper care, however, implants can last a lifetime. We do not surgically place dental implants at our practice, but we are your first appointment for this procedure. 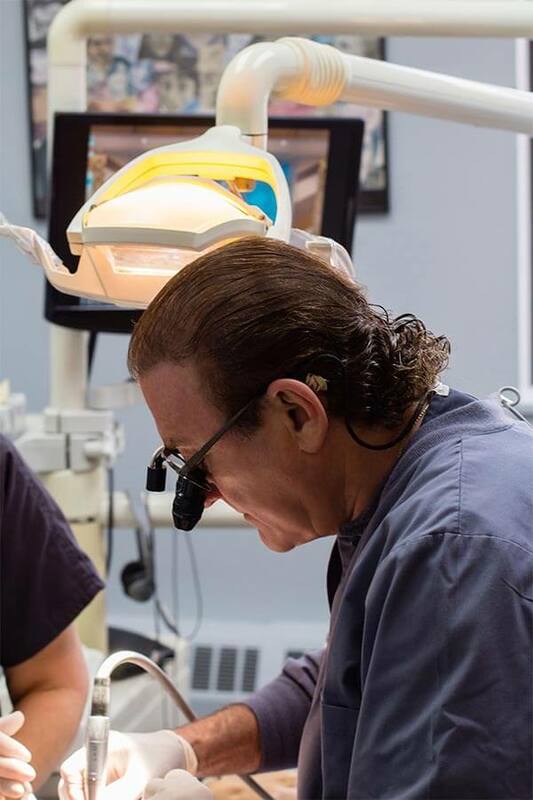 It takes a team of specialists to assess and create proper dental implants, and it starts with the team at Scarsdale Dental Associates. We conduct a diagnosis and create an appropriate plan for you that will guide the dental surgeon. Later, we work with the lab technicians to fabricate the crowns, bridges or dentures that attach to the implants. It’s important to start the dental implant process with a practice that will guide your treatment team on the right path from the beginning. Proper advanced planning will result in a healthy, natural smile. If you are interested in learning more about the process or looking to restore missing teeth, call our office today.